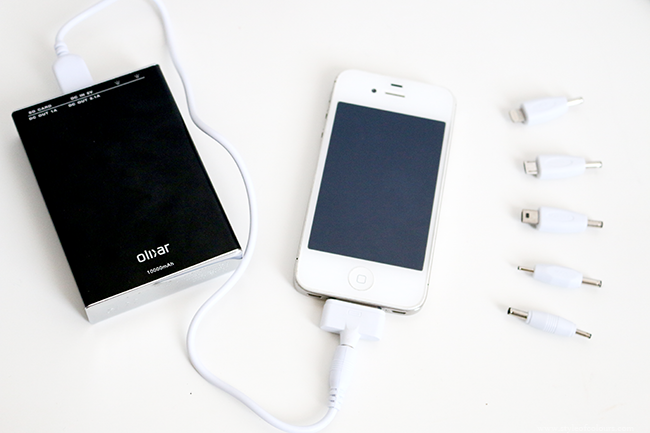 Portable chargers are one of the most genius things invented for smart phones and tablets. I believe we've all had those days when you're active on your phone and then realize your battery is running out but you won't be home till later tonight. I have been there quite a few times, and it isn't pleasant. My most recent one was when I visited Madrid for a day and was taking all the pictures on my phone. You can imagine how fast my battery drained on the iphone 4s. Well, now I have a solution thanks to Mobile Fun. Mobile fun have got loads of accessories for mobile phones and tablets. From cases and screen protectors to cables, portable chargers, car kits, fitness related accessories and more. 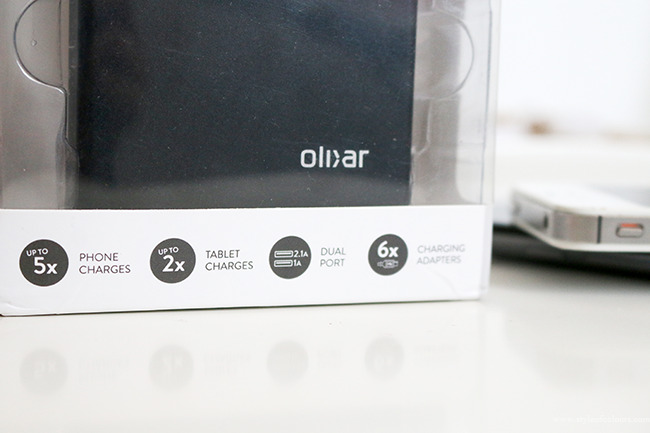 I am lucky to own the Olixar Encharge Portable Charger* with 10000maH which is enough to charge your phone about 5 times. 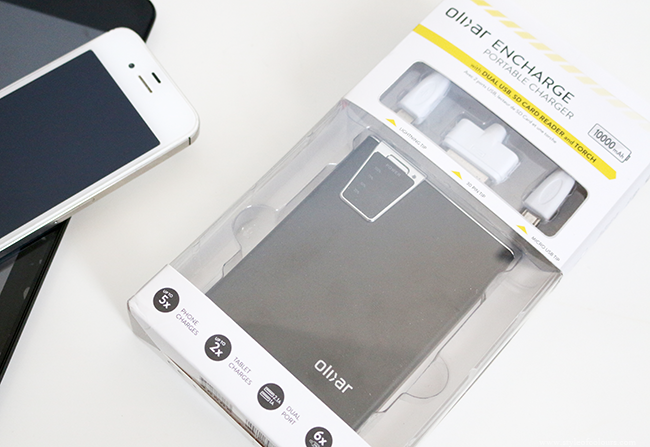 This portable charger is very easy to use. 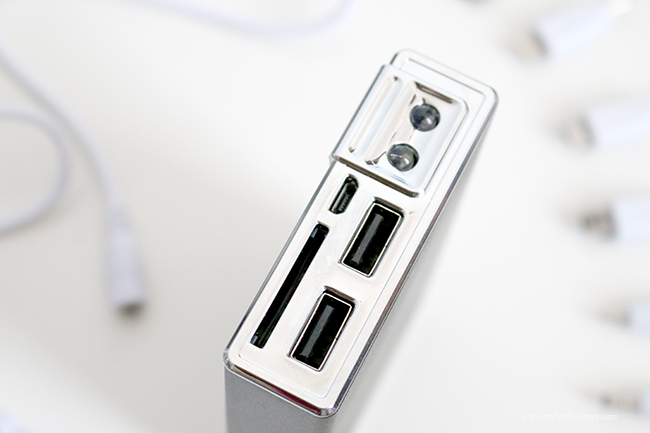 Just plug it into your laptop while you work so you charge the device. Whenever you need to charge your phone, just plug it into the device using the cable which comes with it. 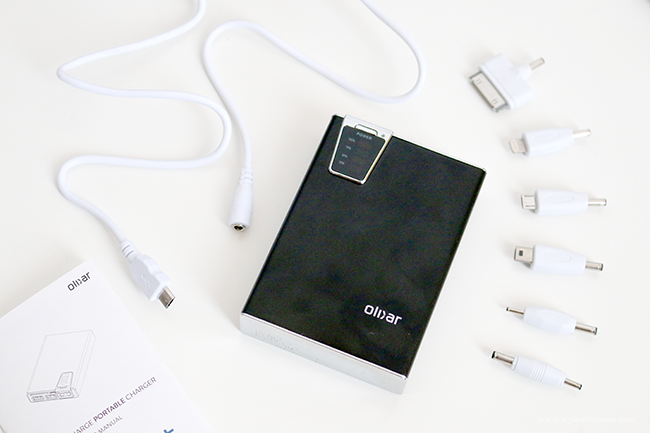 The portable charger comes with 6 adapter plugs so no matter what phone or tablet you have, you'll be able to charge it. It has a battery display which lets you know when it is fully charged or how much power is left, 2 usb spots, an sd card slot, a mini usb slot and a torch. It isn't too big or too heavy which makes it easy to carry around. 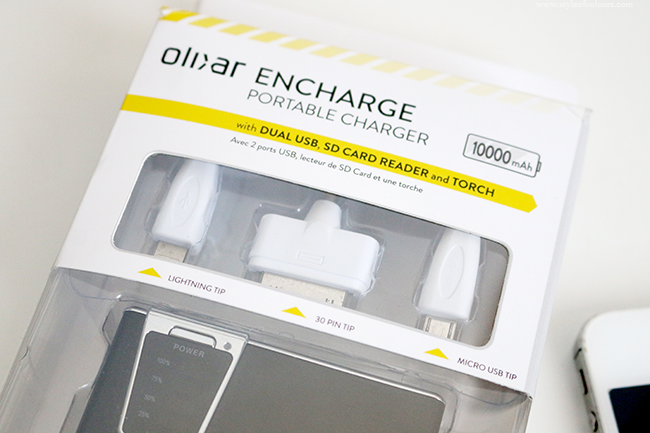 I've put the Olixar Encharge to a couple of tests and I am excited to let you know it passed them all. Firstly, I was interested in how many times it would charge my phone. At the end of my test, it turns out that it can charge an iphone 4s a bit over 5 times. Secondly, I wanted to know if it discharges when not used for a week or so. To my great pleasure, it was still properly charged when I picked it up. Lastly, I wanted to see how many devices it can charge in a row without overheating so I went ahead and charged 2 phones and a tablet. Even with that much energy used, the charger was very cool and didn't show any signs of overuse. I assume this is not the best sort of use but I am glad it can hold up if needed. Overall, I would really recommend you get yourself one of these instead of cheaper ones which charge your phone maximum once before the power is drained from the pocket charger. Originally, this device costs £39.99 but at the moment it is available for just £24.99, so got one for yourself or as a gift. Have you seen anything you like at mobilefun?